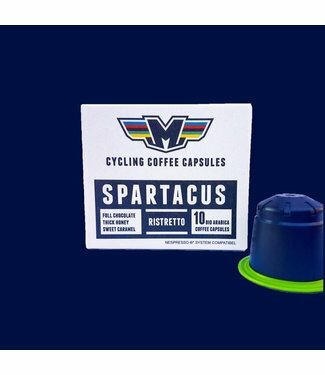 These Spartacus ristretto capsules contain a full bodied and.. 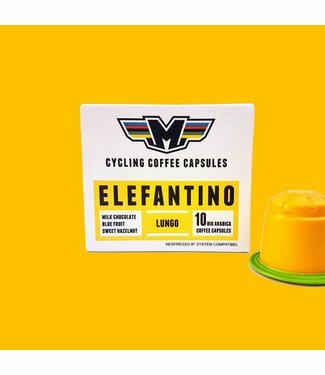 These Elefantino lungo capsules contain a fresh bodied filte..
hese Pistolero espresso capsules contain a full bodied and e.. 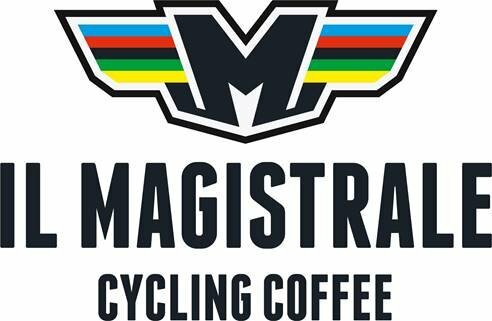 The Cima Coppi of Il Magistrale offers the top ranking coffe..
What we can do is give you such a powerful caffeine shot tha.. 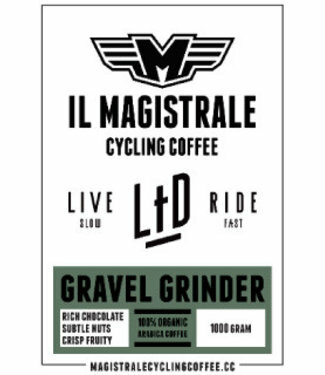 The Gravel Grinder blend is a full bodied and great smelling..
For Il Magistrale, cycling and coffee is a way of life. 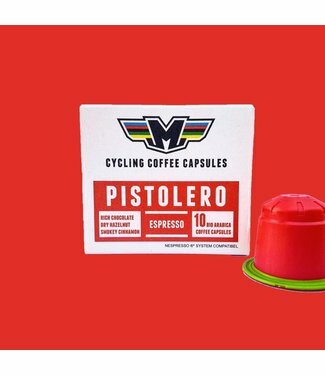 The strong connection between cycling, challenging the elements and drinking great coffee is evident. Il Magistrale coffee is not just a coffee brand. The honorable title 'Il Magistrale' is reserved for those who push harder, suffer longer and become number one. The character, courage and panache shown by them inspires us to offer you the best coffee available. 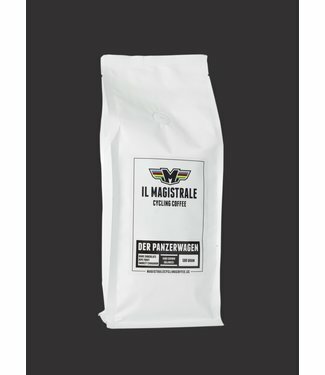 Il Magistrale Cycling Coffee is the result of years of training to know how to find, roast, mix, package and ship the best coffee beans for you. Those who demand the most of themselves earn our special coffee. All our roasted coffee comes from proud farmers around the world who have made great efforts to produce the best green arabica coffee beans every year. 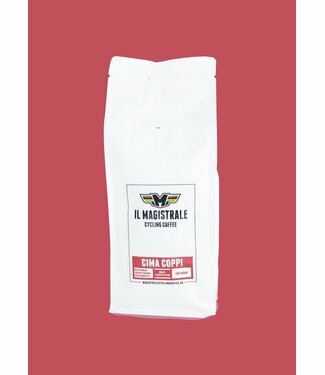 They trust their beans on Il Magistrale because they know that their beans are roasted to their highest potential and taste. Because coffee is a seasonal natural product with an ever-changing taste profile, we have close contact with our favorite farmers, so that you can enjoy the best coffee available at any time.